In 2006, CLI helped develop the initial response to the discovery of giant salvinia on Caddo Lake with the Shoreline Watch, a public education program which was part of the development of a WPP. Northeast Texas Municipal Water District coordinated the work of the stakeholders in the Caddo Lake watershed for the development of the WPP. 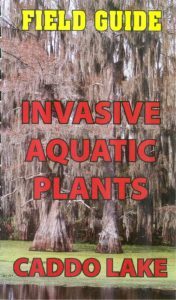 Work included training residents and others to identify and remove giant salvinia and publication of a guide to invasive species.